Mtre. 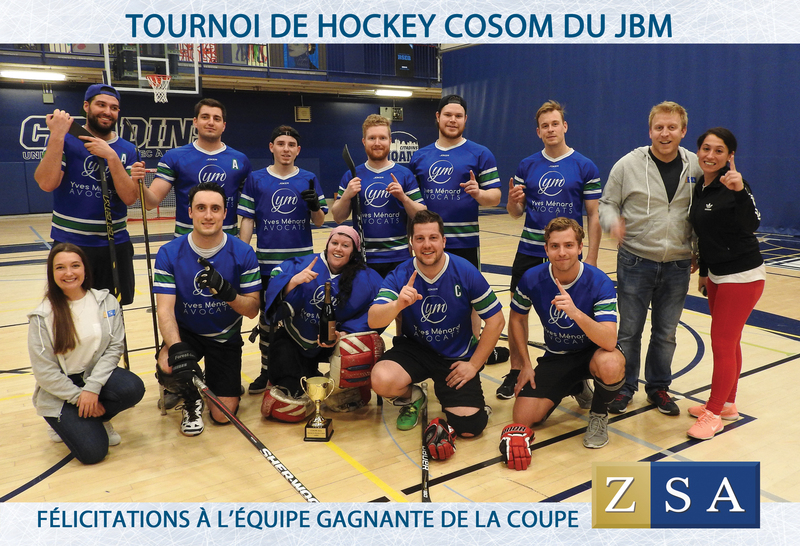 Étienne Sonea “Yves Ménard Avocats” team was a big winner at the popular Hockey Cosom Tourmament last Saturday, taking home the ZSA Cup. The YBM would like to extend its congratulations. Their victory came as they beat out “CDNP Avocats” team. Our heartfelt thanks go out to our partners at ZSA, as well as our volunteers and participants.